Jonathan Weiner focuses his practice on transactional, securities and general corporate matters. He regularly handles public and private financings (including private investments in public equity and other structured equity and equity-linked investments), mergers and acquisitions, joint ventures, recapitalizations, and other complex transactions on behalf of private equity funds, hedge funds, investment banks, operating companies, boards of directors and independent committees. 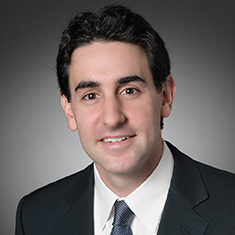 In addition to transactional matters, Jonathan serves as outside counsel for public companies, private equity-sponsored portfolio companies, start-ups and family-owned businesses, advising them on a day-to-day basis regarding corporate governance, securities law compliance, disclosure issues and other matters. Jonathan's skill set combines deep understanding of corporate and securities laws and corporate governance "best practices," with perspective gleaned from broad experience at all stages of the corporate lifecycle. Jonathan also has extensive experience advising clients in connection with the formation and management of joint ventures, strategic partnerships, equity co-investments, venture capital investments and seed transactions. He counsels these clients on a wide range of issues, including minority investor protections, preferred and convertible securities, incentive equity arrangements, buyback provisions, put rights, liquidity and transfer rights (and restrictions), governance matters and exit events. Jonathan's clients operate in a wide array of industries, including financial services, fitness, consumer brands, cybersecurity, health care, publishing, technology and industrials, among others. His multidimensional skill set enables him to provide creative and practical solutions to legal challenges.